With the introduction of Nissan Sunny in the sedan segment, Nissan managed to make a great come back after the not so successful Nissan Micra small car. As per the growth records, Nissan has made a 149 % improvement this November compared to the November 2010. This surely encouraged the manufacturer on introducing a diesel engine variant of the Sunny and we have been eagerly awaiting to know more on the same. 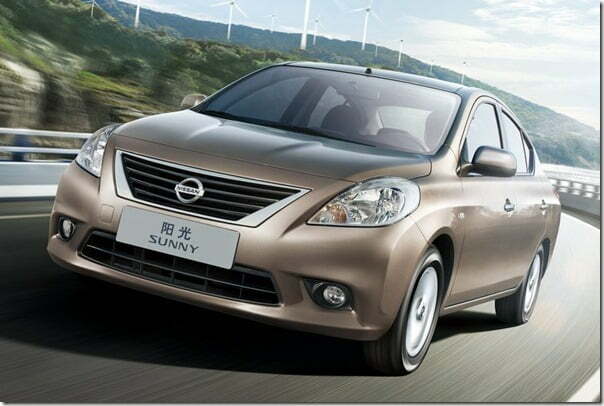 Ever since the moment when the company had expressed its plans of introducing a diesel Sunny, no technical details of the car were available for you readers, until today. As per the latest piece of information concerned with Sunny diesel, Nissan has no plans of launching the car this month and even more surprising is the fact that it will not be launched during the 2012 Auto Expo as well. In fact the company might reveal the car by late January or in February 2012. The price would be somewhat 75-80,000 more than the petrol variant and will once again feature Micra’s retuned suspension. 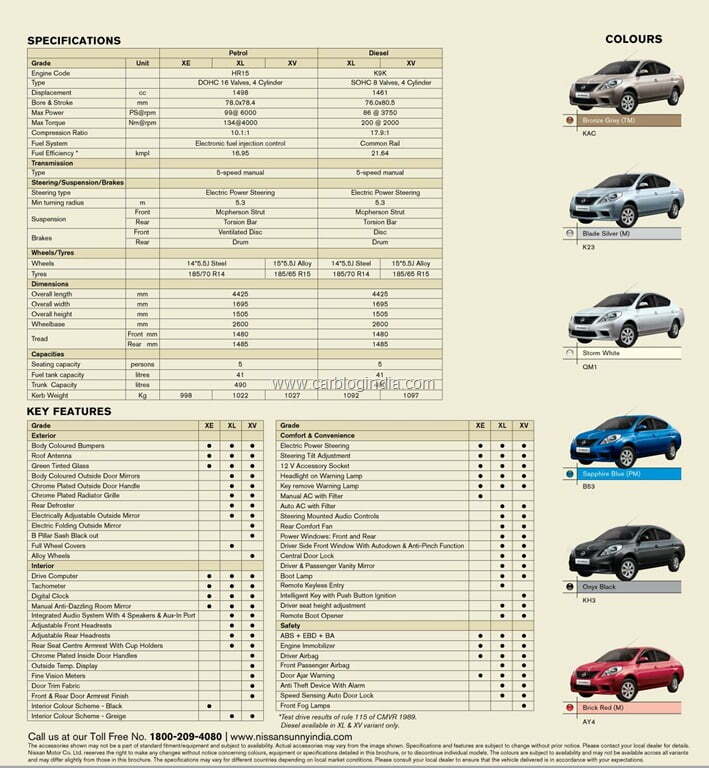 The official brochure of the Nissan Sunny Diesel has been leaked on the official Facebook Page of Car and Bike Show India. 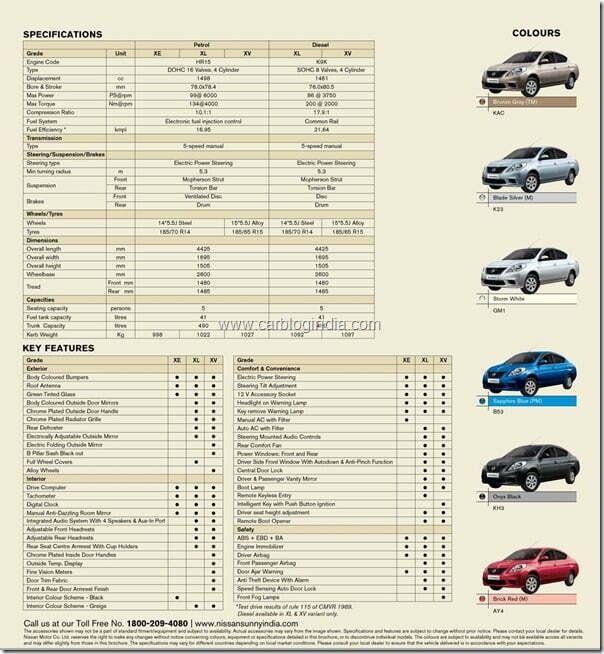 The brochure reveals that unlike the petrol variants which is available in 3 trim levels, XE, XL and XV, the diesel engine model of Nissan Sunny will be available in only two trims, XL and XV with same feature sets as the XL and XV of petrol Sunny. The XL model of Nissan Sunny comes with 14 inch steel wheels while the top end Nissan Sunny XV Diesel comes with larger 15 inch alloy wheels. We are quite confident the car will create the same stir that it created with its petrol sibling with its attractive pricing and impressive interiors.